We’re excited to announce that applications for volunteering for 3Generate 2019 are now open! 3Generate (22 - 24 November at Pontins, Southport) is a milestone event in the spiritual lives of so many young people and we recognise that it can only happen thanks to the support of so many committed volunteers. This year we will need about 250 volunteers to run the event smoothly. A 24 hour space away from the everyday busyness of ministry. Time to rest, reflect and recharge. This event is open to anyone working with children, youth or families and offers the opportunity to slow down, be inspired in worship and prayer. Taking place at Cliff College from Monday 24 to Tuesday 25 June, you can book your place here. Places are limited and are on a first come, first served basis. 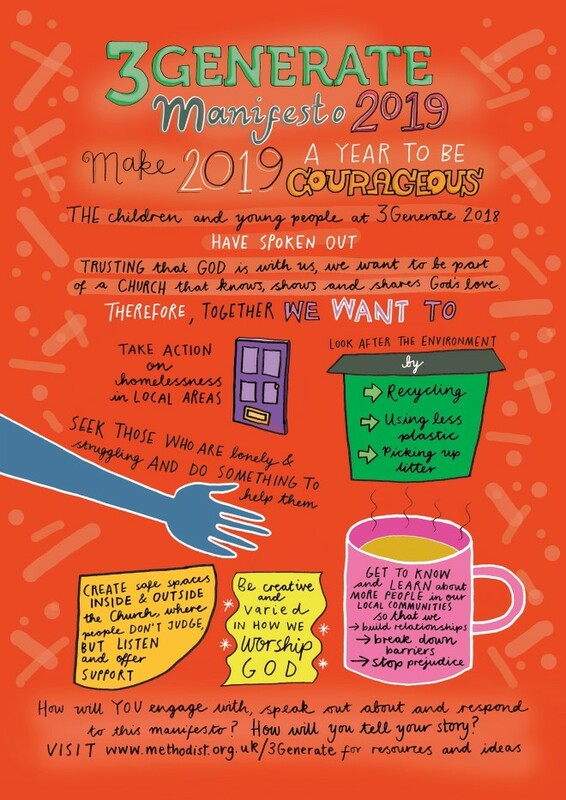 The 2019 3Generate Manifesto, based on conversations that took place at last year's Methodist children's and youth assembly, is now online. There is also a growing bank of ideas and resources to help workers - and the whole Church - engage with the issues raised. 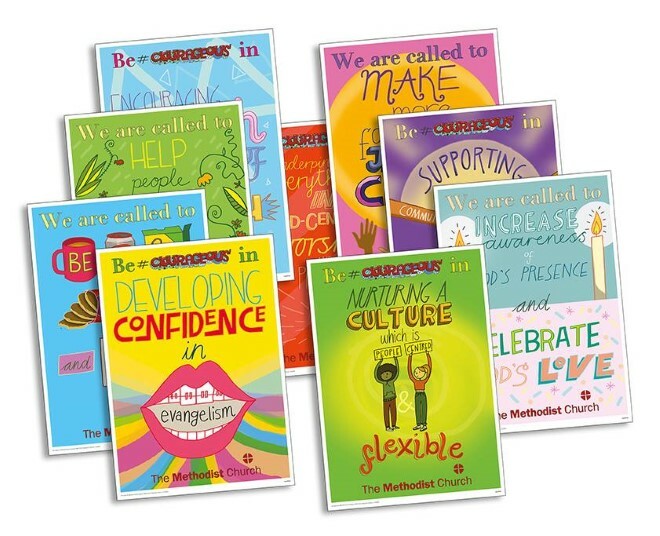 We have recently added a plain text version of the Manifesto to help you share the thoughts of Methodist children and young people far and wide. We would love to hear how local churches and groups are engaging with this year's manifesto and so your church/minister will receive a hard copy of a manifesto response postcard. However, if you prefer to send your response electronically, please fill in the online version (can be downloaded as a Word document from the Manifesto page) and email it to the 3Generate Team. Methodist Youth President, Jasmine Yeboah, has chosen the theme of #courageous for her year in post, with a different focus each month. In April the focus is Courageous Love. The aim is to challenge everyone to show God’s love to others in a brave and practical way. God showed love for us by sending Jesus to die and be resurrected for us, so that we can have new life, linking the Courageous Love focus well with Easter. During the school Easter break, perhaps we can encourage children, teenagers, young adults and families to use this time to practically and courageously show and share the love of God to others. To discover more about her theme for the year and to follow Jasmine and join in the conversation, find her on Instagram or Facebook. Posters and postcards were specially produced for use at 3Generate 2019, incorporating the courageous theme and exploring Our Calling and Priorities. These are now available to order from Methodist Publishing. The Youth Sports Gathering, 3 - 11 August 2019 in Sunderland, will provide 24 young people, aged 16 – 25 and from across the UK and Europe, with the opportunity to meet with each other and develop sports coaching, faith sharing and youth work skills. This event is delivered as a partnership between Methodist Children, Youth & Families, Sunderland Samba FC and the European Methodist Youth and Children’s Council. Participants will lead activities during the Sunderland Samba Festival of Football and community sports sessions with asylum seekers and refugees. This is a great way to explore sport and faith in both theory and practice. For more information and/or an application form, please contact John Boyd (07751 944500). June 2019 is the National Month of Prayer for toddler group ministries. This year’s theme is ‘From a little seed’ with Matthew 13:31-32 The Parable of the Mustard Seed the keynote scripture. This annual prayer focus encourages churches to pray for the work of their toddler groups as they reach out to serve the needs of families in the local community. During the month, various activities are planned: seeds will be planted, and nests made - reminding people of this wonderful parable; local prayer networks will meet together to share the joys and challenges of their groups and pray; some churches are even devoting a whole service to the celebration of the ministry and outreach of their toddler group. Dip into the ideas, activities and articles on the 1277 Facebook Group and check out the resources on the new website. Bible Month is an opportunity for churches and circuits to spend 30 days focused on a single biblical book, enabling churches to engage more deeply with Scripture. In 2019 this will be the letter to the Colossians. The Bible Month magazine for 2019, which includes some ideas on how to engage children and young people, is now available to download or can be purchased as a hard copy. Most people like to run Bible Month in June but you can choose to do it whenever suits your context. This calendar displays all of the events and opportunities from across the Connexion, allowing you to search by theme or region. You can also see a map view of all the events offered by the Methodist Learning Network. We hope this will help you to access the support and development you need to live out your calling. This year’s Foyle Young Poets competition is open for submissions from anyone in the world aged 11 to 17. Entry is free and the deadline is 31 July 2019. The environment was one of the key areas of concern in this year’s 3Generate Manifesto (see article in Featured News). Do you want a way to encourage the Agents of Change with a passion for the environment that you have among your youth group members? Campaign Bootcamp has opened applications for its summer Bootcamp training and they have full scholarships for grassroots environmental campaigners, funded by Greenpeace. You can nominate your young activists for a scholarship here. Applications close on 23 April. Find out more here. Two new schemes have been launched to continue the ongoing commitment of the Methodist Church in reducing its impact on God’s creation. The new Eco Circuit and Eco District awards have been developed to support the successful Eco Church scheme. Perhaps, as a response to the 3Generate Manifesto for this year (see article in Featured News), you should be encouraging your church, circuit or district to explore this further? This fund from Ecclesiastical launches on the 23rd April (open for nominations until the 17th May) and will see 500 charities awarded £1000 each. Grants are available to community groups that are creating and delivering positive opportunities and activities that engage young people. These special voting rounds of Tesco’s local community grant scheme offer up to £25,000 of funding to projects. Applications are assessed by Groundwork to ensure they are eligible. Tesco colleagues will shortlist the projects to determine which go forward to the customer vote. The Shared Ground Fund supports organisations to explore opportunities and address challenges in the area of migration and integration, including the impact on young people. For Holy Week ROOTS has some resources to offer, based on seven striking paintings from artist Nebiyu Assefa. The images tell the story of Jesus’ Passion in a bold and colourful way and are offered as a resource for all ages – including children, youth and families – to reimagine Jesus’ journey to the cross and beyond. All seven pictures are available online, together with resources for reflection, sermon talks and worship activities. Also available for Holy Week are daily acts of worship for all ages, to be used in church or at home. Each ‘day’ recalls a particular event and is set in the context of worship, music, readings, prayers and a visual focus with response. For Easter Day ROOTS has resources exploring ‘Wow! Moments’. In the resurrection story from Luke (24: 1 – 12), Peter races to the empty tomb and is amazed by what he finds. These resources help you to talk with children about what makes them say ‘wow’ and then offers a creative prayerful response activity and encourages them to keep looking for amazing things and thanking God. Scripture Union has produced Easter Alive, a downloadable resource pack to help you explore the real meaning of Easter with the children and young people in your community. The pack is now available to order on the website. NEED MORE IDEAS FOR EASTER? Don't forget to visit the Methodist Children, Youth and Families Pinterest page and The Well Creative Children's Ministry Blog for ideas. You can also download the Experience Easter resource from our website. The new Rainbow magazine, from Junior Mission for All (JMA) features Thandi, a teacher who helps vulnerable children as part of the 'wandering teachers' project run by Pinetown Methodist Church. Rainbow also spoke to JMA Ireland to find out what mission means to them. You can pre-order your free copy from Methodist Publishing or download the PDF here. Spirit of love is a short, interactive Pentecost celebration from ROOTS. It includes four ‘Spirit stations’ (love, joy, peace, truth), images of the Spirit (flame flags, candles, dove), Bible reading, prayers and music. This free booklet shines a light on the great work happening across the church with parents/carers and toddlers and also asks some questions to get you thinking about how "shaped for mission" your toddler group is. An initiative from Heads Together with lots of resources for exploring mental health in schools, many of which can be adapted and used in other contexts. Find out more here. CTM Resourcing in Australia has produced a digital download pack for intergenerational rituals to mark the rites of passage in the lives of children - such as the birth of a sibling, starting school, transition from adolescence to young adulthood. For this year's Thy Kingdom Come, the global movement of prayer between Ascension and Pentecost (30 May - 9 June), you can download this Family Prayer Adventure Map. It can, of course, be used at any time - a fun and creative way of encouraging families to pray together. Prayer Spaces in Schools offers some ideas for how you might pray about this increasingly concerning issue. This is a new app for parents and educators containing over 1,000 brain-building interactions you can do with your children. All of the activities are designed to empower. All in together: creating places where young and old thrive is a new report from Generations United and the Eisner Foundation. It includes the findings of two surveys, some model programmes and ideas of how we can increase the number of intergenerational sites. United for All Ages has produced this report that talks about the importance of bringing the generations together - and the benefits this has on the life chances of children and young people. The All Party Parliamentary Group for Youth Affairs has recently carried out an inquiry in to the current state of the sector and the challenges that need to be addressed. The final report is now available via the National Youth Agency website. SHARENTING – WHAT IS IT AND IS IT OKAY? Many children and young people are told to be very careful about what they share on the Internet, but are their parents as cautious? This article from the BBC explores the phenomenon of ‘sharenting’ and online safeguarding. LIMITED ACCESS TO EMOTIONAL AND PRACTICAL SUPPORT FOR YOUNG PEOPLE. In England, only 19% of young people between the ages of 15 and 34 strongly agree there is someone in their area they can turn to for emotional support; this rises to 34% for those over 55. Read more here. This article asks, are children's drawings meaningless scribbles or serious creative work? A couple of years ago, YFC carried out some research with young people. This is a follow up piece of research looking particularly at how young people engage with the digital world. There are around 700,000 young carers in the UK. 80% miss out on childhood experiences, as they need to spend time caring for family or friends. This article from High Speed Training offers a guide in supporting them. Digital technology is not only influencing the methods by which missions are carried out today, but the cultural shifts that it has given rise to demand fresh reflection on missiology. CODEC’s annual symposium will explore: digital culture as the new environment of mission; the implications of digital culture on missiology; missional church and digitality; new media and evangelism; digital technology and the common good; digital tools for doing good. Find out more here. Additional needs are wide ranging and include anything that prevents someone from participating in an activity, such as physical disability, mental health needs, illness or undiagnosed needs. Creating an accessible church can also involve working alongside those who are ex-offenders, have abused substances or who may be rough sleeping. This conference aims to ensure church communities are places that recognise and welcome the value of what everyone brings to God’s kingdom; helping every individual to contribute. Find out more here. Cliff College, in in partnership with Place for Hope, is offering a Short Course Certificate in ‘Faith in Change and Conflict’. The course is delivered midweek over two, three-day blocks of teaching in late April and mid June 2019. A fun yet informative two hour evening session that focuses on the ‘nuts & bolts’ of setting up and running a Who Let The Dads Out? group. £10 per person. Find out more here. At 2pm members of the Methodist Children, Youth and Families Team will be going live on Facebook to talk about mental health. This is, in part, to introduce the Mental Health First Aid teaching days, which we are very excited to soon be running as part of the suite of training on offer from our team. We hope you can join us for 30 minutes! For those who think that God is calling them to become and ordained minister in the Methodist Church. Find out more here. Delivered by CMS, in partnership with Frontier Youth Trust, this will be a day of sharing stories and research on pioneering with children and young people. Experienced practitioners will speak about their work in order to stimulate ideas and discussion around the issues and challenges faced. There will also be opportunity to network with others working in the field. Contributors to include Jane Barrett from Worth Unlimited, Kathy Bland on Messy Church, James Fawcett at Concrete, Sara Baron from Children in Urban Areas (Curbs), Rachel Summers on Forest School and Forest Church, Belinda Ngugi working with teenage mums in East London, Debs North on Relationships Education and Andy Milne from Missional Youth Church Network. Tickets cost £20 and include lunch. Find out more here. This interactive training workshop will help you explore how to shape your youth and children’s ministry to envision and equip your young people for their Monday to Saturday lives. The day will be led by the LICC Church Team and some special guests, and will be a chance to share wisdom and learn together about how to create a youth work ministry that focuses on developing whole-life disciples. Find out more here. Designed for leaders, volunteers and family work practitioners (both men and women), within the church and community, who have a heart to work with fathers and father figures. £170, find out more and book here. Hosted by Godly Play, the day will feature a lecture from Professor Elizabeth Wood followed by conversations and workshops in the afternoon. Find out more and book here. Why might we want children and young people to participate in church life? What will be the impact of their involvement? How might we best we do this? This day, hosted by the District Youth Enablers in the North West and Man region of the Methodist Learning Network, addresses all these questions, with space for you to ask others. There will be loads of practical ideas and resources on this day as well as an opportunity to be equipped to run a participation workshop for children’s and youth leaders in your circuit. Lunch, refreshments and all your resources will be provided so booking is essential. Book with Rob a week before the event. Booking is now open for Cliff Festival. The college is also looking for volunteers to help them with children’s work, stewarding, audio visuals and more. Chaplains in Higher Education are encouraged to attend the 2019 CEUC conference in Germany. The extensive programme includes excursions to explore the complex history of Nürnberg, and the speakers include Jürgen Moltmann and Heike Walz. Early bird discount bookings close on 28 February. More information available here. See details of 2 May or click here for more information. The theme for this year’s conference is Always room for one more – children, young people and estates; stories of participation and partnering. 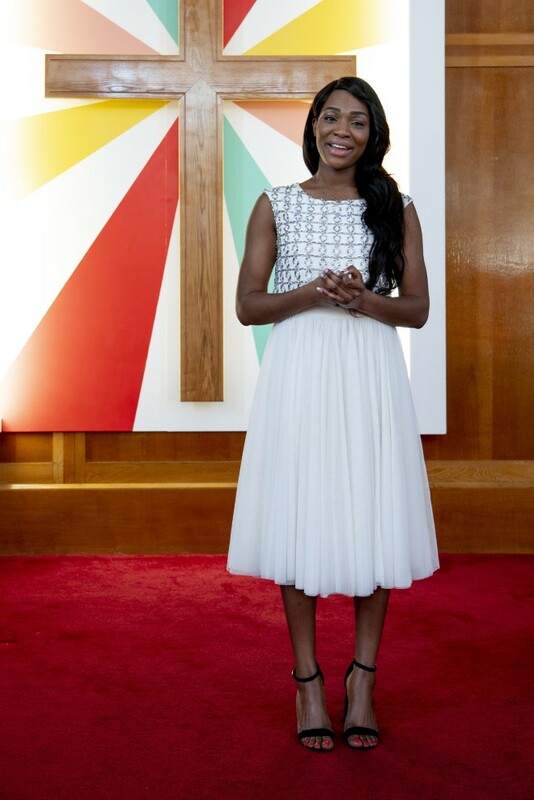 Among the wide range of speakers and contributors will be Jasmine Yeboah, the Methodist Youth President. Tickets cost £25 per head. Find out more and book here. See information for event on 18 June for more details, or click here. Red Letter Christians UK, in partnership with Newbigin House and Newbigin Community Trust, are holding a public anti-violence creative action in response to knife crime. Surrendered knives will be melted and transformed into symbols for change. Including contributions from activist and campaigner Shane Claiborne. Check out the Facebook event page or read this blog from Premier Christianity on Claiborne’s work. For more information see Featured News or click here to book. See information for the day on 21 May and book with Rob a week before the event if you want to attend. For young adults, aged 18 – 40, who are recent graduates, young professionals or in business, public service or the charity sector? This day from the Jubilee Centre will be exploring the theme of food, relationships and the environment. Full details and registration here. For more information see paragraph in Other News or email John Boyd. An opportunity for lay employees of the Southern and Islands Region of The Methodist Church to come together and 'dig-deep'; to discuss, learn, question and reflect on our purpose, roles, mission and values within the Methodist Church. Three streams will enable specific training focus on the work of those lay employees involved in Pastoral Care; Children's, Youth, Families and Community work; and Administration. Sign up here. You may like to pass this email on to others in your church who may find it interesting.